Sun Lakes Country Club in Banning, California is an active adult, 55+ gated community. This resort-style retirement community is not really "senior living". 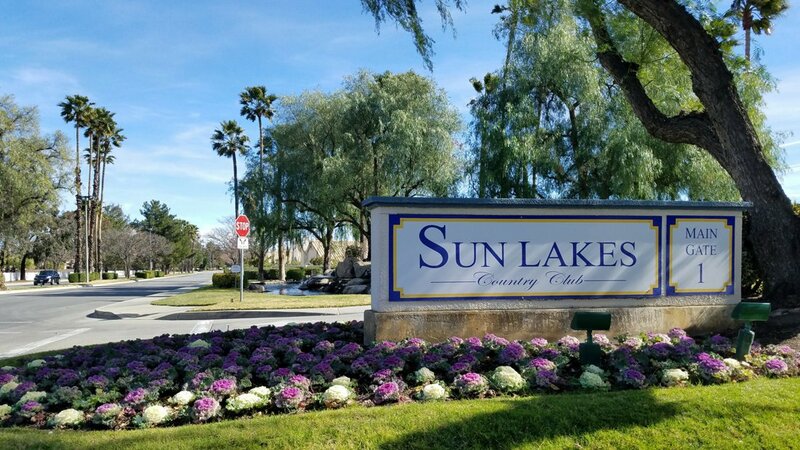 Sun Lakes has many activities to choose from, including two full private 18 hole golf courses, swimming pools, club houses, a full restaurant, tennis and other courts, a full gym, and more. 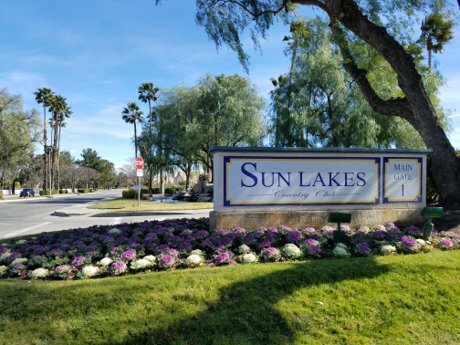 With over 3,000 homes in the gated community, Sun Lakes always has homes for sale. Above you can find out more about the 55+ community and see the current Sun Lakes homes for sale. Homes range from smaller houses and condos from one to three bedrooms to larger homes of three to four bedrooms. But generally most homes in Sun Lakes are two or three bedrooms. Square footage ranges from 850 square feet to over 2,700 square feet in size. Many homes in the community also have attached garages with two parking spaces. The Sun Lakes Country Club HOA is governed by Professional Community Management, Inc. To reach the HOA you can call them at (949) 768-7261, or visit their website here. The Sun Lakes Golf Courses, including the Championship Course and the smaller Executive Course are both full, 18 hole golf courses. Both courses are well-manicured and employ daily course information, events and schedules. These courses are for semi-private resident use, with invited-guest privileges. Also included on the grounds are a full-service golf shop, and driving range. The Sun Lakes Restaurant includes a full-service menu for breakfast, lunch and dinner, a coffee shop, a full bar and lounge, and plenty of seating and areas to relax with friends and enjoy your day! 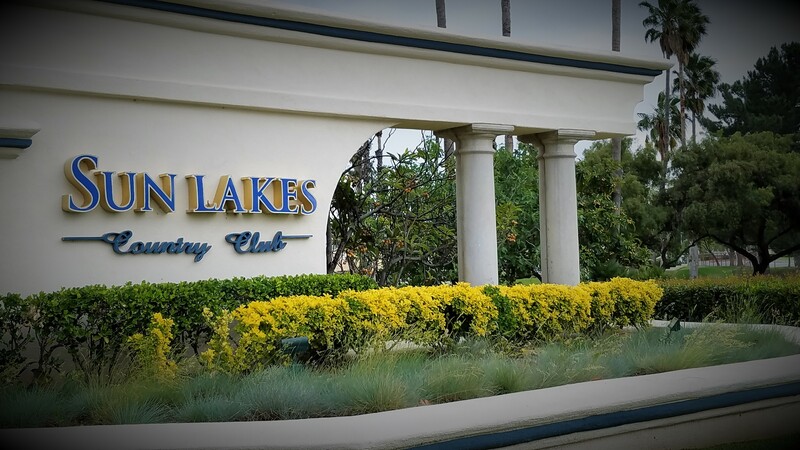 Enjoy Happy Hour, Sunday brunch, banquets and special events, all from within the Sun Lakes Country Club gated community.